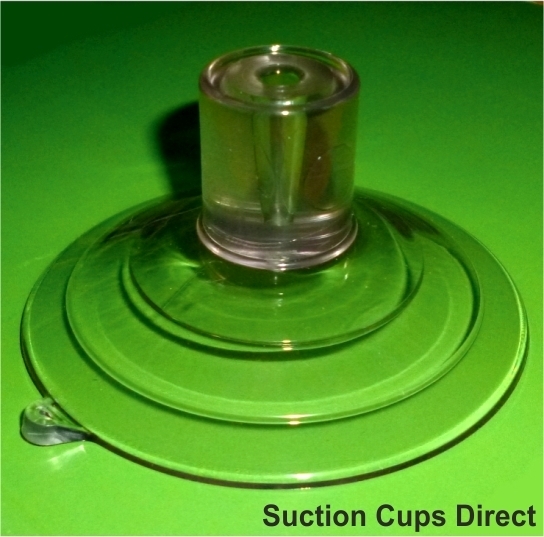 Heavy duty suction cups with top hole. Suction Cups Direct. 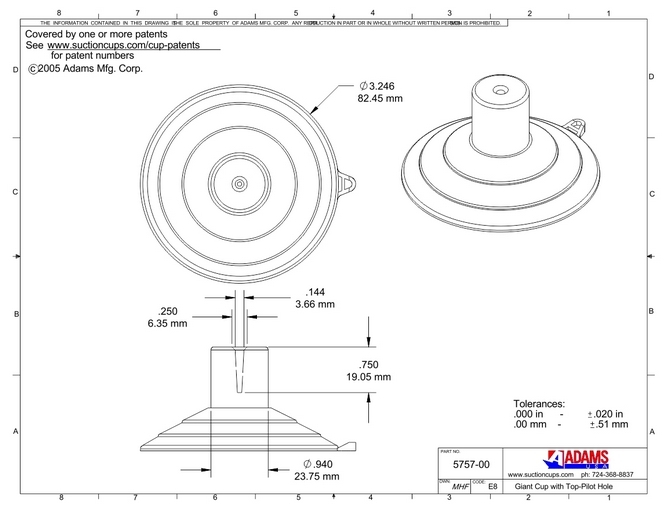 The weight loading for this Adams 85mm suction cup is 5.5kgs (12lbs). Use with a screw and fix to a clean, dry, slick, shiny, smooth, non textured, non-porous surface like glass, mirrors, glossy plastic, plain glazed ceramic tiles, car body work etc. Adams 85mm diameter giant suction cups have a quick release tab on the edge for quick re-positioning or removal.